What are the different selection criteria for business schools? Will you get shortlisted with you CAT percentile? Post your queries below, along with your CAT 2018 percentile! Take a look at your chances of getting shortlisted here. If you are a working professional, get your profile evaluated here. InsideIIM is conducting an exclusive workshop for all MBA aspirants looking to enter a top business school this year. If you’re in Mumbai on 12th January 2019 and want to make it to a top management institute, you don’t want to miss this free workshop with GD-PI experts. Register for the workshop here. What Calls can I expect and which colleges should I apply? Hi Rishav. Congratulations on a brilliant CAT performance. If you’re a non-engineer, you can expect calls from most business scools, except perhaps the holy trinity which require a 99+ score. If interested, you can still apply to MICA via MICAT 2. Registrations close in end January, so you still have time. Which IIMs are most likely to give me call? You have a great profile and a fair percentile. The most favorable concert for you would be MDI, however, you can also expect IIM S and new IIMs. What about SP Jain and IITs? If u haven’t get the call from SPJAIN in the profile round, then there are slim chances. According to ur profile, you should get a call from SPJAIN in profile round only. Other than SJMSOM, there are good chances that u will get call from others IITs. I got 81 percentile , which colleges I can apply for ? Which colleges can I apply for? Are you an engineer or a non-engineer? Its unclear. However, ill assume you’re a non-Engineer. With your current profile and background, you can apply for MICAT 2. My personal recommendation is that you appear for CAT once more if possible. Your academics are in your favour and you have diversity on your side as well. You will have to work hard for all three sections, but it is doable. What are my best options through this score and profile? A lot of b schools like IITs still have their registrations open. So that is something you may want to consider. You may also get a profile based call from SDA Bocconi, although I am not certain of their cut-offs since they don’t release it in the public domain. With your acads, I personally recommend appearing for CAT once again. Get a job, and prepare for 11 months and go straight for an IIM. You probably need 50-60 marks more to get to that 98+ range. 8 months work-ex in a leading Stock Broking Firm. What IIM calls should I expect ? I have even applied for MDI-G.
Congratulations. You have done fairly well. You can expect MDI and IIM S also new IIMs. Could you please help me with colleges I can apply and calls I might get? Your profile looks decent. Good chances in getting calls from baby IIMs, IMT G, IMI Delhi. High work-ex might create a hindrance. What are the best options for me through CAT ? Will I get a call from the IIMs ? I personally feel, looking at your CAT percentile and work experience, that you should definitely go for CAT 2019. Right now, you will get shortlists but you can improve your VA-RC score and actually get into a top business school (IIMs may not be possible because of your academic profile). Unfortunately, you do not meet the sectional cut-offs for any of the IIMs in your category, and your academic profile also does not work in your favour. However, you can try for b-schools in this range – https://insideiim.com/cat-percentile-55ile-75ile/. 10th – 88.83, 12ty – 89.6, grad – 85. What can I get best out of it? and will i get admission in liba ubs or kj somaiya, and are these good reputed colleges? 10th – 88.83, 12ty – 89.6, grad – 85. Please someone suggest on my score. If you are a GEM, then sorry to say that due to your VARC sectional percentile, u will not get a call from any IIM. But other than IIMs, u can apply to IMT G, IITs except BOMBAY, KJ SOMAYA, IMI Delhi. Thanks for your answer. I dont known if it is true but some baby IIMs have section cutoff of 75%. Can I have the chance for them?? What shortlist and conversion chances do I have? First of all, Congrats for such a splendid percentile!! As your sectionals are balanced and Acads are also strong esp 12th and B.Tech, so there are good chances that you will get calls from IIML, IIM Indore(fewer chances due to low per cent in 10th), IIMK, IIMS and all new IIMs. Other than IIMs you will also get a call from MDI, NITIE and FMS. Chances of conversion mostly depend upon your performance in GDPI, so start preparing for it for tomorrow onwards. OA90.44,varc79.9,QA96.4dilr87.5,10th 95,12th 95.6grad8.2chap,female engineer.work exp12months. Slim chances to get calls from new IIMs due to VARC sectional percentile. If you get call from some of the new IIMs then try to perform well in GD/PI. And if you are yet to drop papers at your company, then continue with the work and try your luck next year to get more work experience. Can I expect any calls from iims, and what about the conversion chances? Which other colleges should I apply for? What are the best options for me through CAT? And should I consider taking CAT 2019? As your overall percentile is less than 90, so there is no chance that you will get a call from any IIMs even new and baby IIMs. Other than IIMs, you can apply for IMI Delhi, XIMB. But as you are a fresh graduate, I will suggest you to go for CAT 2019 and get a job and build your profile. what are chances of new iims call? As your sectionals are above 80 and Acads are also strong esp 10th and B.Tech, so there are pretty good chances that you will get calls new IIMs. Will I get a call from FMS? And which among the old IIMs? As your sectionals are balanced but Acads are weak esp grad so there are very few chances that you will get calls from old IIMs like ABCI. As you have an added advantage of gender diversity, so there are good chances that you will get calls from IIML, IIMK, IIMS and new IIMs. Other than IIMs you will also get a call from MDI, NITIE(if Engineer) and FMS. Yes, there are pretty good chances that you will get a call from FMS. What about IIT B, D? With the above credentials, yes. IIT B and D should definitely shortlist. Can I expect calls from BLACKIS? As your sectionals are above 80 and Acads are also strong esp 10th and 12, so there are pretty good chances that you will get calls new IIMs. From old IIMs, you can expect a call from IIM Indore and IIM Shillong. Cat percentile 95.37 with VARC: 83.72, DILR: 84.77 QA: 98.92. Passed out 2018. No work ex. Which calls can I expect and which colleges should I apply? Your percentile and your category seem to be a good balance for you to secure some calls. Given that you’re a fresher and your grades are low in undergrad the top few might be a little difficult to crack. You can expect FMS, IIM K, I, S and other colleges that follow. Your percentile in Verbal might cause some problems for you to secure calls. Given that you’re having a core worked you can expect a shortlist from MDI, IMT and colleges beyond it. The top few might be a little difficult to crack. Sir what about IIT DELHI ,BOMBAY and NEW IIM’S ? Is there any chance of NITIE? Your Verbal Percentile is quite low, so chances of getting a call from IIT Delhi, Bombay, NITIE and even New IIMs are zilch. So I will suggest not to have wrong expectations. Which colleges to expect calls from (IIMs and IITs) and what are the chances of conversion? Kindly comment from which IIM’s i can expect calls? Which colleges to apply for other than IITs? You can expect calls from some of the new and Baby IIMs. Thank you so much mam for replying. What all good colleges can I expect a call from? Which old IIMs to expect calls from ? Any chances through CAT, I have a job at EY so should I try next year ? Chances of conversion mostly depend upon your performance in GDPI, so start preparing for it from tomorrow onwards. Considering your current scenario and strong academics, I ‘ll suggest you to take up the job and start preparing for CAT 2019. I had 2 years gap after 10th board exam. Please let me know chances of getting call from reputed colleges. So should I go for interviews to get GDPI experience or prepare for CAT 19 ? If you want to get some real experience of GDPI process, then go for it but start preparing for CAT 19 because there are huge chances that you will get good percentile. Slim to decent chances of getting calls from some of the baby IIMs. But you need to give a proper justification for the 2-gap during the PIs. Try to crack decent institutes this year only as your work-ex is on the higher side. First of all, Congrats for such a good percentile!! As your sectionals are balanced and Acads are also strong esp 12th and B.Tech, so there are chances that you will get calls from IIML, IIM Indore, IIMK, IIMS and all new IIMs. Other than IIMs you will also get a call from MDI and NITIE. Chances of conversion mostly depend upon your performance in GDPI, so start preparing for it. As your VA sectional is less than 80, so there is no chance that you will get calls new IIMs. Other than IIMs, you can apply for IMT Ghaziabad, IMI Delhi, XIMB and IITs (except Delhi and Bombay). As your VA has not improved much since last year, then I will suggest you not go for CAT again as you work ex is also increasing. If you can convert NMIMS, then go for it. Chances of conversion are pretty good but also majorly depend upon your performance in GDPI, so start preparing for it. 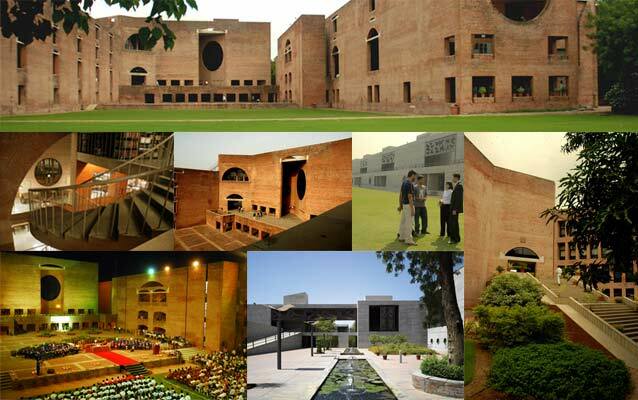 As your DI sectional is less than 80, so there is no chance that you will get calls new IIMs. Other than IIMs, you can apply for IMT Ghaziabad, IMI Delhi, XIMB and IITs (except Delhi and Bombay). But as your overall percentile is quite good with good percentile in VA and QA and you are currently working and have only 7 months of work ex, so my suggestion will be that you don’t join any college this year and start preparing for CAT 19 with your maximum focus on DILR. As your sectionals are above 80, so there are pretty good chances that you will get calls from new IIMs. Having an added advantage of OBC category and good acads esp 10th and grad, there are good chance that you will get a call from IIM Shillong, IIMK at this percentile. Other than IIMs, you can apply for MDI, NITIE, IMT Ghaziabad and IITs. But with little or no extra curricular or internship and low score in academics will I be able to do justice even in IIM placements. P.s- please I do not want any sugar coated answer but only truth. Congrats for such a pleasant percentile in CAT, but as your acads are quite low except 10th, so chances of getting a call from BLACKIS are very low. But surely you will get a call from new and baby IIMs. Don’t worry much about IIM placements, there you will get many chances to boost your profile through competitions and certifications. Other than IIMs, you can get a call from NITIE, MDI and IITs. Already answered in the other thread. Congrats for such a pleasant percentile in CAT, but as your acads are quite low except 12th, so chances of getting a call from BLACKI are very low and good chances of getting a call from IIM Shillong. But surely you will get a call from new and baby IIMs. Other than IIMs, you can get a call from NITIE, MDI and IITs. Any chances for getting call from New IIM or baby IIM or any other good colleges? Kindly comment from which colleges can I hope for a call. Which all to expect and apply. Great chances for getting calls from all of the institutes you mentioned. Your percentile on lower side will get compensated by the number of months of your work experience. Thankyou so much ma’am. Should I fill the forms of IIT D , IIT B and NITIE? If you are interested for PGDISEM in NITIE, then go for it; seems difficult for PGDIM. Fill out the forms of all IITs to maximize the chances to get calls. You can be hopeful to get calls from IITD, VGSOM and IIT Madras. Hello Rajit, Expect a call from new IIMs. And you may get calls from NITIE if you have filled. You have a good chance of calls from the IITs if you have applied. Hello Arpika, you have very good chances in all the New IIMs and IIM Shilong. Among IITs ,you might get call from all of them except SJMSOM. Great chances of conversion if you do well in GD/PI. Question-Sir, Which of the top 6 IIMs can I expect a call from? These are my legitimate scores. Congrats for such a pleasant percentile!! As your acads are strong except graduation and being a non-engineer, you have good chances of getting a call from IIML, IIMI and IIMK among the top 6 IIMs. Other than those you can get a call from IIM Shillong, new IIMs. Apart from IIMs you can also get a call from MDI and IMT Ghaziabad. Which colleges can I apply? What IIM calls should I expect ? I have even applied for FMS, MDI-G, XIM-B and IMI Delhi. What are my prospects for new iims and other good bschools? As your sectionals are above 80, so there are pretty good chances that you will get calls from new IIMs. But being a GEM, there is no chance that you will get a call from BLACKIS at this percentile. Other than IIMs, you can get a call from IMT Ghaziabad, XIMB, IMI Delhi. Hi jeetesh,being from iim udaipur,any idea what’s the cutoff to get a call from iim udaipur? Do people get selected at this profile and score? As your sectionals are above 80, so there are pretty good chances that you will get calls from new IIMs. But a non-engineer female and having strong acads, there are good chances that you will get a call from IIM Shillong and IIM Indore. Other than IIMs, you can get a call from MDI, IMT Ghaziabad, XIMB, IMI Delhi. Congrats for such a good percentile. As your academics are strong and overall percentile is also good, so you will definitely get calls from new IIMs. Other than new IIMs there are good chances that you will get calls from IIML, IIMI, IIMK and IIMShillong. Other than IIMs you will get a call from MDI, IMTG, NITIE and all IITs. Congratulations for scoring such a good percentile. You will get calls from IIML(for SM as well), I, K and S. Calls from new IIMs are sure-shot. Other than IIMs you will get a call from NITIE, MDI and IMT-G . Good chances to get call from IITs as well. Chances of call from FMS is also there. Prepare your best for GD-PI. I’m academically handicapped right now and not even doing much great professionally. Still, any decent schools for my profile? Or should i follow GMAT .? Can i expect call from FMS, and any older IIMs? Congratulations for scoring such a good percentile. You will get calls from IIML(for SM as well), I, K and S. Calls from new IIMs are sure-shot. Other than IIMs you will get a call from MDI, IMT-G and NITIE. Good chances to get call from IITs as well. Chances of call from FMS is also there. Thanks. Also wanted to know how do IITs compare with IIMs. Are they at par with older IIMs or the newer ones, as in what should be the priority order? Aashima, you can refer to my article for your query. And i havent applied separately for any IITs, should I be doing that? Can I expect call from FMS or IIML? And I haven’t applied separately for any IITs, should I be doing that? Congrats for such a good percentile. As your academics are very strong and overall percentile is also good, so you will definitely get calls from new IIMs. Other than new IIMs there are good chances that you will get calls from IIML, IIMI, IIMK and IIMShillong. Other than IIMs you will get a call from MDI, IMTG, NITIE and all IITs. Yes, Sorry Payal I realised my mistake after posting the comment. Even at this academics, there are good chances that you will get a call from FMS and IIML as you have an added advantage of gender diversity. I will suggest you to apply for least IIT Bombay, if not more. Hope it clears your doubt!! do i have any chance for iims? or top b schools? Being a GEM, chances of getting a call from any IIM at this percentile and profile is next to impossible. I will suggest you to go for CAT 2019. Considering your OA, it is very difficult to get calls this year. Any chances for getting call from New IIM or baby IIM, NITIE or any other good colleges? As your VARC percentile is less than 80, so there is no chance that you will get a call from new IIMs. As your academics are quite strong, I ll suggest you to go for CAT 2019 as having a work ex of 24 months is perfect and have maximum points during profile evaluation. Very difficult to get calls this year. All The Best ! Already answered in another thread. You have overall good profile to consider including work experience but due to 69 percentile in DI sectional, there are decent chances of call from baby iims and can expect calls from some of the new IIMs(though borderline chances). Thanks for replying. What are the chances of IMT and IMI Delhi? Hi Rajit, there are decent chances that you will get a call from IMI Delhi and IMT G.
As your sectionals are above 80, and overall is above 90, so u will definitely get calls from new and baby IIMs. Other than new IIMs, getting a call from old as well as MDI and NITIE as this percentile and weak academics is impossible. If u really want to do MBA, then I will suggest u to go for any new or baby IIM, the best option u will convert as your work ex is quite huge. Other than IIMs, you can apply for IMT G, XIMB, IMI Delhi. Very slim chances to get a call from NITIE(PGDISEM). You will get calls from Baby IIMs. Very slim chances for new IIMs call as well but can expect calls from a couple of them. If you have applied for IMI Delhi and IMT Gaziabad then you might get calls but less grad score might show up some obstacles. Great chances to get calls from all the new IIMs, IIM Shilong, all IITs except SJMSOM, XIMB, IMT-G and IMI Delhi. Slim to decent chances to get call from MDI Gurgaon as well. Focus on preparation of GD/PI. As your sectionals are less than 80 except one and overall is also less than, so there is no chance that u will get a call from IIMs. Other than IIMs, you can try IMT G, IMI Delhi, KJSOM..
Expect a call from some of the new IIMs, IITs, IMT, IMI, XIMB/XUB, MICA. I would suggest you to focus on XAT and do well. You have a good chance of scoring there also. Eye on good colleges like SIMSREE which intake via MAT. Because of the grad percentage you might not get calls from the new IIMs(thin chances) but you can certainly expect from some of the baby IIMs, IMT G, IMI Delhi and Great Lakes Chennai if you have applied for their programmes. Prepare hard for GD/PI to utilize the calls to the fullest. Chances of getting calls from good colleges this year is very bleak. Better to try again in the next year. Try to gain some work-ex and achieve higher percentile. Hello Shourya, I agree with Apurva that you should retake CAT and try to achieve a better percentile. However, if you want to get admitted this year, look at DoMS IIT Roorkee, DoMS IIT Madras, Apply also to Delhi School of Economics. The following colleges will also be there in your percentile range: IBS Hyderabad, SRCC GBO, ASG Bangalore, Great Lakes Gurgaon, IFMR GSB, BITS Pilani, Delhi School of Economics, CIMR Mumbai. IBS Hyderabad, SRCC GBO, ASG Bangalore, Great Lakes Gurgaon, IFMR GSB, BITS Pilani, Delhi School of Economics, CIMR Mumbai. I’ve got a call from C. Are there chances of getting calls from A and B? Yes. Definitely. Without question. All the best. Tough to get a call from the Old IIMs. You will definitely get baby IIM calls and maybe some new IIMs and almost all IITs. FMS is doubtful. Expect from DSE. I am a little unsure about DFS. There’s a chance you might get a call. Btech Mechanical(2017 passout)- 7.65 CGPA from Lovely Professional University..
Want to change this year!! Any suggestions? I ll suggest u to start preparing for GDPI for today only. In case of NMIMS, you are at the verge, so let hope that cutoff will not cross 210. 10th: 94; 12th:95.5; B.Tech: 68.59; General Engineer and male having total work experience of 18 months till date. May I know which colleges can I expect a call from? Applied for SPJain, MDI, NITIE and IIM’s. Hello Praneeth. NITIE cutoff is around 97. And so is MDI. You have chances of getting a call from PGDHRM of MDI. In 2017 people had received interview calls at 95 for pgdm at MDI. So, there’s a small possibility. Expect call from CAP for the baby IIMs. What is the chance of getting call from SPJain? And which IIT’s can I apply and expect? SP gives out calls based on profile. People with 98 don’t get calls and people with 92 do. So, don’t keep your hopes high. Apply to all IITs. Except IIT Bombay, you have a fair chance at getting calls. 5) Realistic Chances of Conversion at MDI? You’re at the threshold of NITIE. There’s a possibility of a call definitely. I would say you have got good chances of conversion at MDI. SPJSOM I believe goes above 98 in terms of cutoff. However, keep your fingers crossed. I am not sure about Indore. Many of my friends with better percentiles didn’t get calls because of their acads. So I’m not able to present a take on Indore. As your acadmics are not very strong except 12th, chances of getting a call from IIM K , I and SPJSOM is very low. And if I talk of NITIE, for PGDIM course, chances are low because ur percentile in verbal is less than 90 and overall is also just crossed 97. Conversion chances at MDI is majorly depend upon your GDPI, so try to give ur best shot and start preparing for it ASAP. CAT 2018 Scored- 96.68%ile Overall. VA-72.28 LRDI-99.16, QA-98.78. 16months Work-ex. BCom Grad- 72.5%, 12th-94%, 10th-9.0cgpa. What calls can I expect? Please guide. As your verbal percentile is less than 80, then getting a call from IIMs, even for CAP round is next to impossible. Other than IIMs you can apply for IMT G, XIMB, IMI Delhi and IITs except Delhi and Bombay. I’ve been trying from 3 years. What do you think should I take another try? Hey Prateek. I think you should take one more try especially when your QA and Di scores are through the roof. You need a focused preparation for VARC so that you touch 90 at least May CAT 19 be the deciding one. Which all calls i can from IIms? Apart from it from which top 30 i can get call or should apply for? You can apply for IITs such as IIT Madras and VGSoM since you have good chances of getting calls from there. You might get calls from some of the new and baby IIMs as well based on your work experience. Prepare well for GD/PI. My realistic chances in getting a call from IIM K, SJMSOM, MDI and DMS IITD? As your academics is weak especially graduation so there is no chance that you will get call from IIMK,. But at this percentile, you have good chances of getting a call from MDI, SJMSOM and IITD. Which colleges should I expect? You have a good profile and can expect calls from most of the new and baby IIMs. IIM S seems dicey because of the VARC sectional percentile – new and baby IIMs generally give some relaxation on this. You can get calls from IMTG, IMI-D, VGSOM, IIT-M as well. Prepare well for the GD/WAT-PI. No calls from ABCL. Any chances of K/I or other bschools? What best do you recommend? Since your grad percentage is on the lower side, you had a tough luck with the older IIMs. But you can certainly expect calls from K, I-Mumbai Campus, S and all the new and baby IIMs. Start preparing for the GD/WAT-PIs and better to apply in SJMSOM, IITD, NITIE and VGSoM. New IIMs may be possible but your graduation score may hamper your chances. You stand a good chance with IMT and IITs. Also, consider applying to MICA. Their registrations are still open for MICAT 2. Not sure about IIM Shillong honestly. you can expect calls from all the institutes mentioned except K, S, IITB and IITD, considering you are a fresher. Your lower percentage in undergrad will be compensated by your grad stream. Keep your hopes high and start preparing for WAT/PI. I graduated in 2016 and have been engaged in a family business. Can you please evaluate my profile and help me estimate my chances? Thank you! It seems difficult to get calls from decent B-schools this year because of your QA sectional percentile. Better to try next year since you have a good profile and will also get points for the gender and academic diversity that are required to get into a top B-school. Are there any colleges where I stand a chance to apply?